This is the latest in a crop of directory site redesigns aiming to create more user-friendly experiences. This story was originally incorrect. 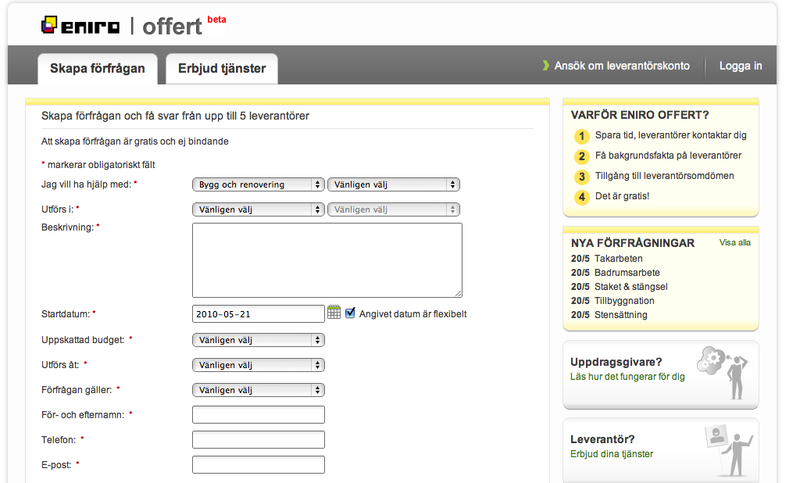 Swedish directory publisher Eniro has implemented its own RFQ solution. It is NOT working with Quotify. The information was sent to me by Quotify CEO Ben Ross and I didn’t look closely enough at it. My apologies for the confusion this may have created. 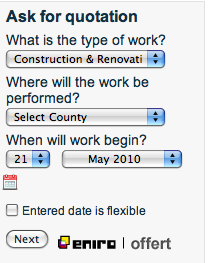 Many publishers are implementing or considering implementing online booking and/or some version of RFP functionality. 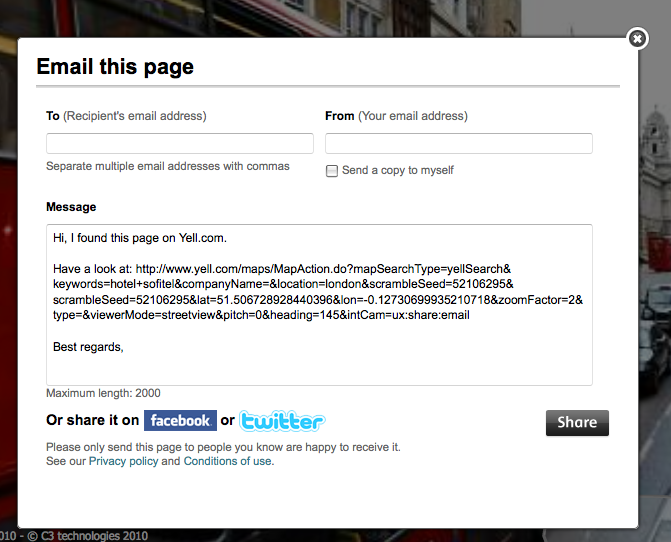 In the US Superpages recently launched vertical sites that include this capability. AgendiZe and a few others also offer online booking. The combination of Yell’s database of over two million businesses with TrustedPlaces’ proven expertise in generating recommendations from local consumers represents a major shake-up of the fast-growing local reviews market. It will drive strong benefit to Yell’s 399,000 mainly small business advertisers, through generating additional leads and providing a richer online interaction with existing and potential new consumers . . . Initially, TrustedPlaces reviews will be added to Yell’s business listings, leading to full integration under the Yell.com domain. The company also expects that the techniques and technologies that have made TrustedPlaces successful in the UK will be shared with other Yell Group operating companies in the US, Spain and Latin America. Under the deal, Sokratis Papafloratos, chief executive and co-founder of TrustedPlaces, is joining Yell as head of social products in the UK. This is a smart move by Mark Canon, Matthew Bottomley and company. It complements what they’re doing with Yell.com and provides reach to a younger and more “urban” demographic; it’s sort of like AT&T’s Buzz.com. The difference is that TrustedPlaces is an established site with an existing following. 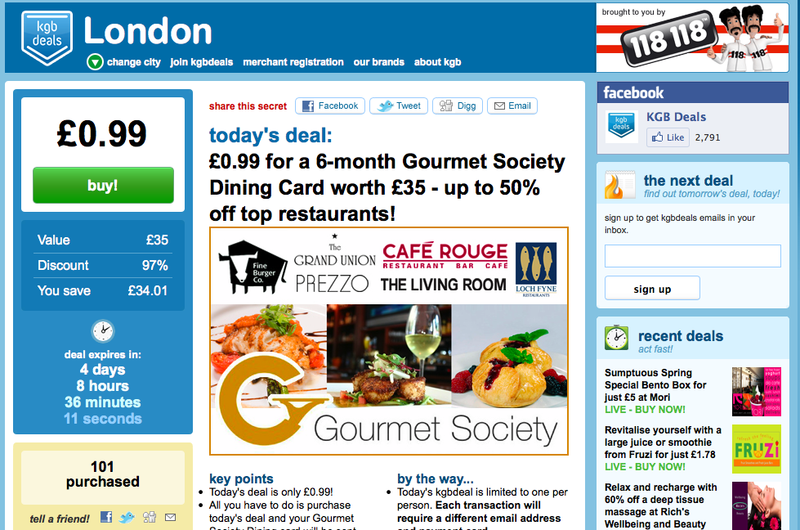 Among the social directories in the UK, there are three main players: Qype, Yelp and TrustedPlaces. These three sites, I would imagine, had more traction in selected verticals with specific demographics vs. the more traditional Yell. The company will also have the benefit of Sokratis Papafloratos’ thinking about social media across its European properties and in the US to some degree. Yell has pushed its digital properties in many interesting directions: products, mobile, classifieds. Though weighted down by regulatory controls in the UK, it also benefits by being the sole owner of the yellow pages brand. Yell might want to look at acquiring or developing a property like TrustedPlaces to complement its traditional online directory product — if that isn’t an oxymoron. TrustedPlaces had developed a strong property but was challenged to sell effectively to small businesses. I had this conversation a number of times with Papafloratos over the past couple of years. Most US local startups were in the same position; however emerging local ad networks such as CityGrid help take some pressure off by helping monetize page views and lookups. As part of new digital-centric momentum and strategy, Yell recently did a major overhaul of its site, introducing several useful new features but most dramatically providing street-level photography to make the site more engaging and challenge Google Maps in greater London and several other UK cities. TrustedPlaces has (or had) a partnership with the newspaper-owned LocalPeople, a network of “hyper-local” community sites. It isn’t clear whether that will continue beyond any existing contract period. It’s also not entirely clear whether the TrustedPlaces domain and brand will remain after “full integration under the Yell.com domain.” I would hope that the company doesn’t shutter the property. Yell’s CEO and CFO are leaving the company. This is an appropriate time for a leadership change given the larger context of advertising in the UK around Yell and the shift more aggressively into digital. kgb, which offers the SMS-based mobile Q&A service, has just launched a group-buying site at kgbdeals.com. I’ve discovered that there may be as many as 90 to 100 sites that are doing some version of “groupoing” now — with more to come undoubtedly. Undoubtedly these deals will also be pushed into mobile and via the “traditional” kgb service. 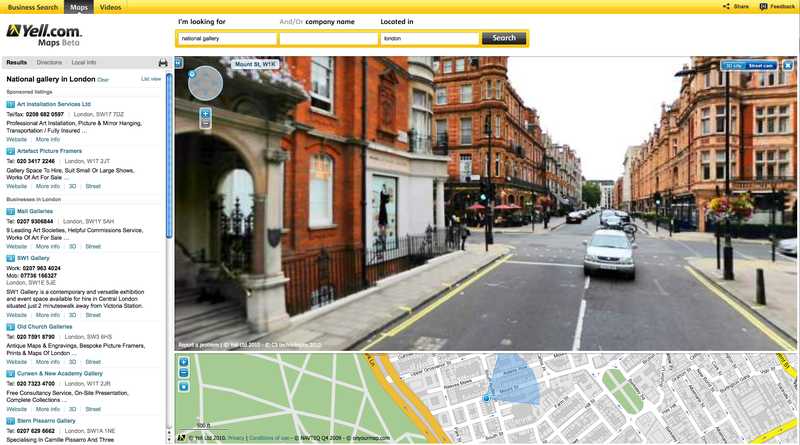 UK directory publisher Yell has implemented a number of changes to its site, the most significant of which include new 3D maps and street-level photography. 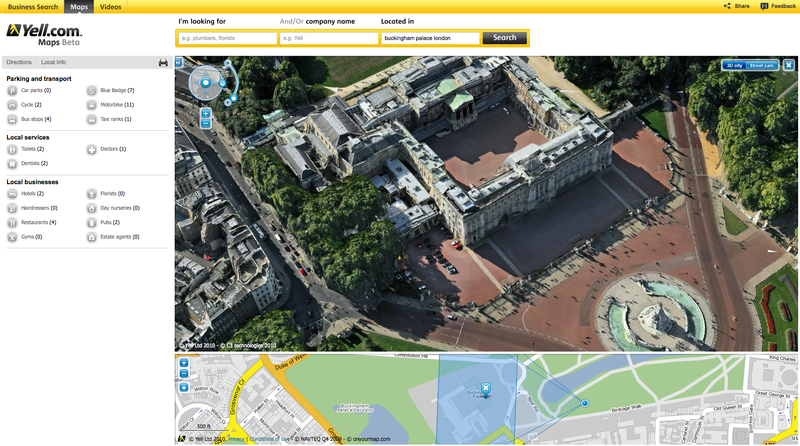 Yell worked with companies C3 and Tridoo to generate the imagery. Right now the coverage includes London, Manchester, Birmingham and Leeds. Like Google Street View, you can “walk down the street.” It’s enormously useful for tourists and travelers, as well as house hunters, etc. Of course Bing doesn’t offer this yet in the UK. And Big G doesn’t have the oblique and orthogonal images from above. 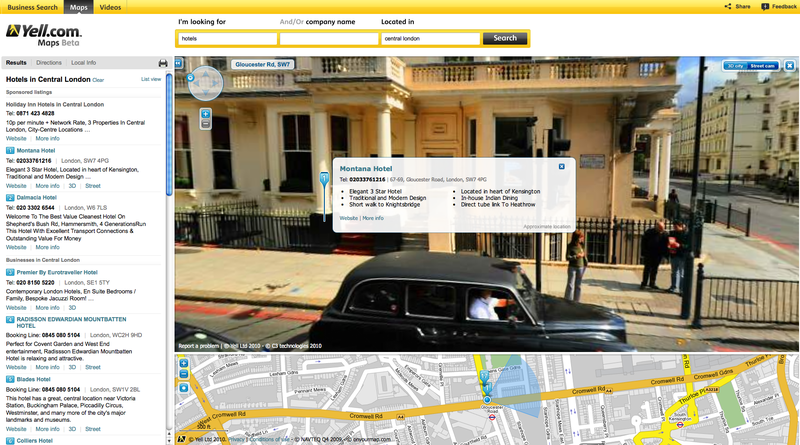 These new maps really transform Yell.com and pose the first real challenge to Google Maps in the UK. Overall it appears to be a terrific user experience that adds huge value to Yell. 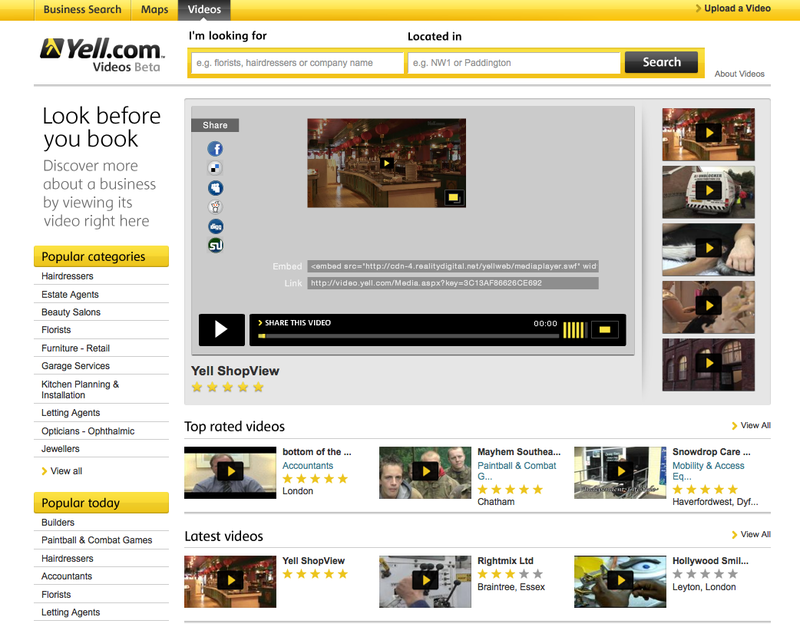 The introduction of a separate Yell.com video channel that will enable businesses to showcase their business in video for inclusion in our listings. Coverage is limited at first, with the majority of videos in central London. However, we have enabled businesses to upload videos for free and we will be taking steps to further promote video as a valuable part of the marketing mix for all SMEs. I have written, about AlikeList, Fablistic and CityVoter in the past, that such “top lists” and favorites are extremely useful to people and create an additional source of qualitative ranking data about businesses beyond reviews. Yell has had many redesigns and upgrades in the past few years but this both simplifies and enriches the user experience. Overall it dramatically boosts the utility of the site. I wasn’t able to duplicate this in US results simply by searching on categories and locations. If you include “coupon” in the query you do get lots of coupon results. 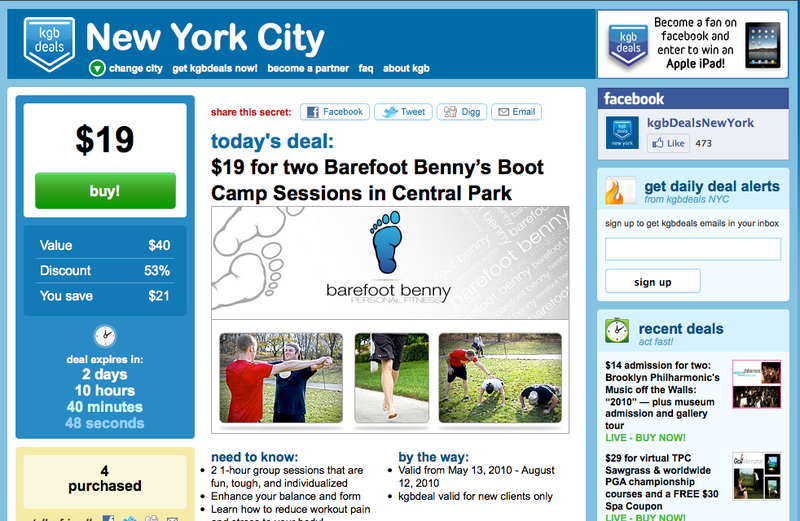 Google blew it, in my view, some time ago by not more aggressively promoting local coupons or being a coupon aggregator. Given what’s happening with LBS providers such as Foursquare (basically a mobile loyalty platform) we’ll see if Google steps up with local coupons. When I first heard about addafix, founded by former mobilePeople exec Claudia Poepperl, I thought that the company’s model was somewhat “tortured.” It’s a mobile “caller ID” app for smartphones that enables you to link your Facebook friends’ photos to your phone’s contacts and see their pictures when they call you. The business model, however, has nothing to do with that service. By contrast it taps into yellow pages. When you make a call, if there’s no answer or the call doesn’t connect otherwise, you’re shown three alternative businesses in the same category, in the same area or that service the same area. These business listings are yellow pages advertisers and addafix is paid a revenue share on calls it sends through to them. There’s a bit of a disconnect between the consumer and advertiser propositions — sounds a little forced right? Yet the company keeps rolling along. Currently the advertising aspect of the service is only available in Germany and Austria. What’s also interesting is that, as with coupons or offers, this won’t look like advertising to consumers. It’s a search model that takes advantage of the phone’s location awareness and the user’s calling behavior to recommend alternative businesses nearby. 25 percent of all calling customers are not able to speak to an actual person. Blocked extensions, answering machines, nonexistent numbers or simply a slightly displaced handset are some of the many reasons that lead to these circumstances. Non-answered calls mean a loss of customers and revenue. More than 63 percent of customers trying to call a business in vain, claim to be willing to switch to another company – as long as there are other options available. This is where adaffix comes into play, offering its customers a plethora of relevant businesses, which are geographically located nearby. Even for established and existing customers the willingness to switch to another company is still at a staggering 38 percent. The “top five of non-reachable businesses” in Germany during workdays are clearly restaurants, leading the way with 18 percent failed phone pick-up rate, followed by lawyers at 10 percent, family physicians, internal medicine specialists and hotels at 9 percent and dentists at 4 percent. The rest is distributed among a wide variety of other business types. On weekends the figures turn out to be different: restaurants, cafés, governmental institutions for health and social work, pizza delivery services and intensive-care units are ranked among the top 5. A similar situation has been shown in Austria, however in slightly different genres. From Monday to Friday adaffix has proven the following: taxi services lead the score with 5 percent of unanswered phone calls, followed by insurance companies with 4 percent, banks at 3 percent, physicians at 2 percent and car dealers at 1 percent. The remaining percentages are divided among other business types. On weekends the statistics looks different: taxi services take to top spot in the ranking yet the other four spots are being made up of various gastronomy areas, such as pizza places, pizza delivery services, traditional restaurants and Chinese restaurants. There has always been a problem with SMBs answering the phone and various startups have tried to address it in various ways. Some, including FastCall411, have tried sending out calls/leads simultaneously to multiple businesses. Addafix has the advantage of being a mobile application. When consumers do a lookup and make a call from a mobile device it’s often because they “need it now.” Thus their receptiveness to nearby alternative businesses on the handset is going relatively high especially in categories where they just need the service and aren’t going to be highly discriminating (e.g., taxis). 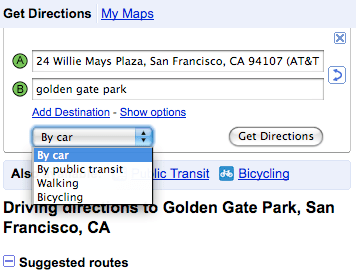 Last night Google announced the inclusion of bike directions to car, public transit and walking directions options on Google Maps. According to Google Maps’ Shannon Guymon this was one of the most requested missing features on Google Maps. 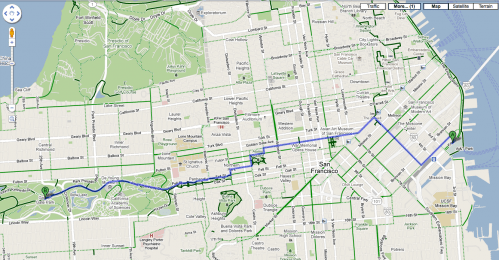 The new bike directions also provide a new view on maps (see below), one that is more “bike friendly” and emphasizes some features while de-emphasizing others (e.g., freeways, busy roads). The rest of this post is on SEL. 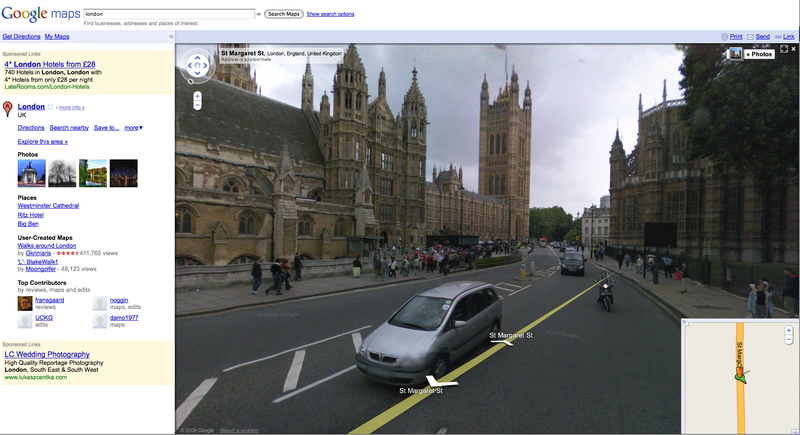 See related: Street View Best Streets Awards in the UK and Edit Places Using Street View images. Thanks to Simon Baptist for pointing me to a piece in the Financial Times, which discusses the debt predicaments of European yellow pages publishers and how that will affect their businesses. I’ll sidestep that vexing issue, which forced then RHD and Idearc into Chapter 11 (both are now out). Truvo is forecasting a 29% drop in print revenues year on year in 2009, partially offset by a 12% increase in online sales. The Truvo decline is more aggressive than in the US but print YP publishers have suffered double-digit print declines during the recession. The question is where will that revenue go: to publishers in diversified product bundles or to third parties competing with them to offer online ads? Internet revenues continue to grow and represent almost 30% of total UK revenues compared to 24% last year. Our intentional focus on acquiring more relevant searches for our advertisers, at the expense of volume, caused unique internet users to fall in December. Internet revenues now represent over 16% of total US revenues up from 12% last year with future growth built on the foundation of continuing strong growth in unique visitors. 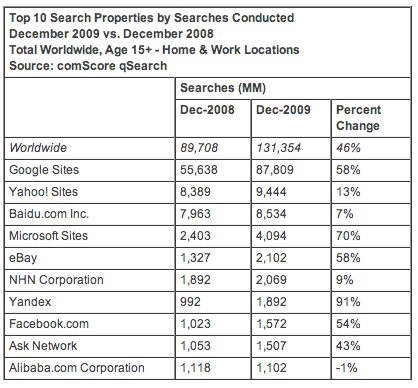 Globally the search market increased its query volume by 46% from a year ago. The US saw query/volume growth of 22%. Russia, France, Brazil and Japan were the top growing markets where volume increases ranged from 48% to 92%. Roughly 53% of Google’s revenues come from outside the US; however, those numbers should climb because most markets outside the US are less mature (save the UK) from an advertising perspective. Ad dollars will follow consumer growth. 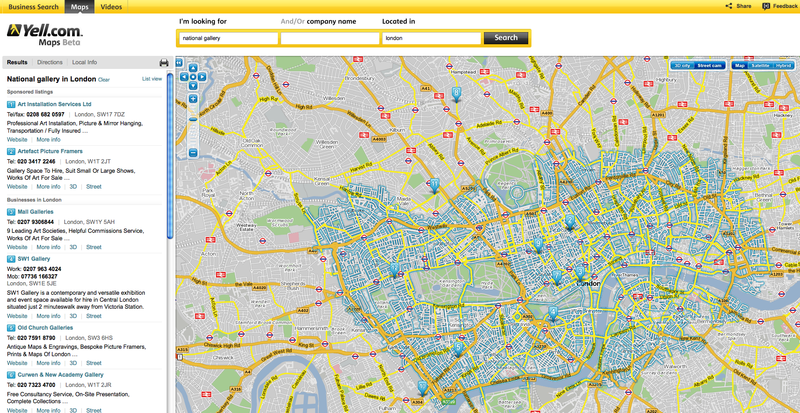 UK directory publisher Yell has introduced its own maps on the site and on mobile phones. 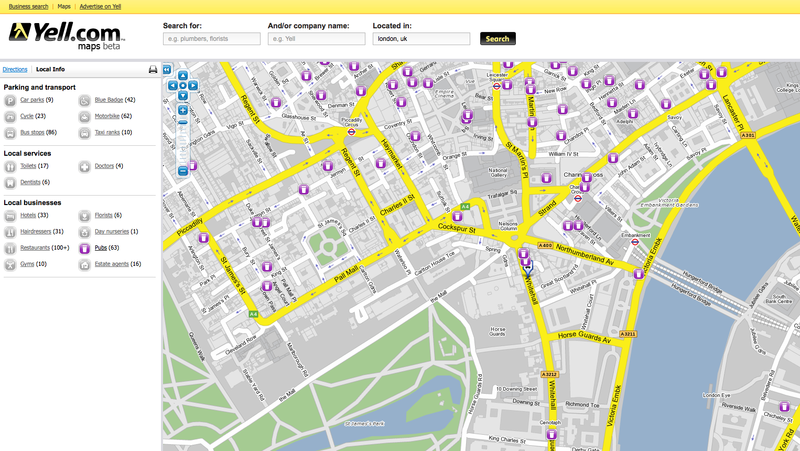 The new maps were developed in conjunction with Tridoo, which was providing Yell maps for mobile. 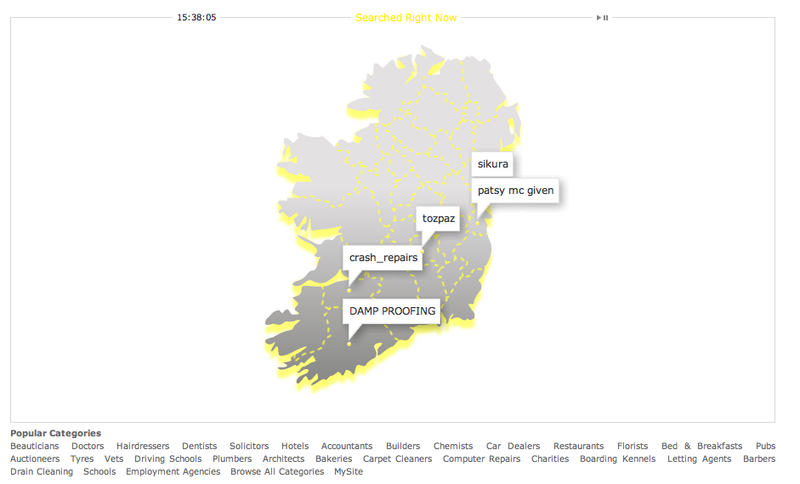 Map data are from Navteq. 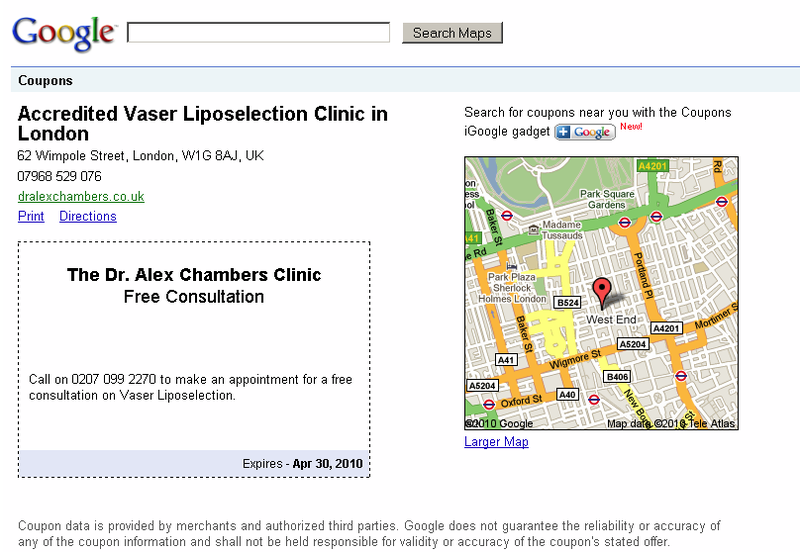 It’s worth noting that in the US all the major YP publishers except RHD/Dex use Bing Maps. Dex uses Google. Yell is the parent company of US publisher Yellowbook. 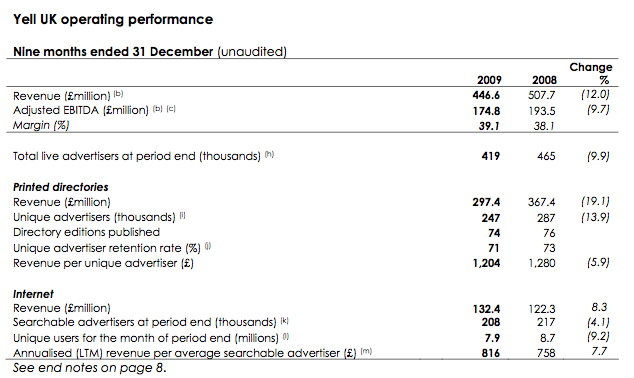 In 2009 the Internet contributed 24% of Yell’s UK revenues. Is PagesJaunes Doing Better than Yahoo? I was in a meeting today with some folks in Montreal and I was told that Pages Jaunes (France) saw approximately 44% of its revenue coming from online. I was then told that the company has more online revenue that Yahoo! in Europe. If it’s true it’s pretty remarkable. Can anyone verify. I’m in the airport so I can’t check further at this time. Why Did Google Remove The Phone Numbers? 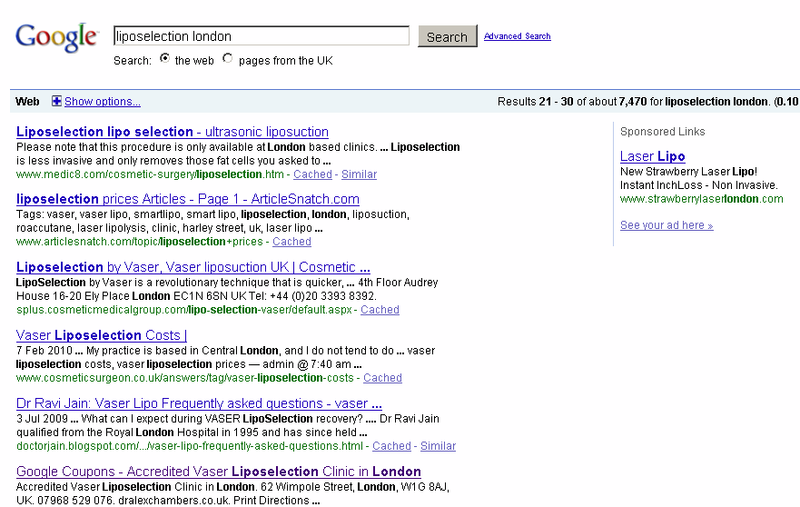 The second image is a screen from the European Directories-Skype deal that uses phone number recognition to “activate” (free call) the numbers of European Directories advertisers and overcome the problem of diminishing SEO visibility for local, organic third party links on page one “above the fold.” The removal of phone numbers from the “7 Pack” effectively kills that deal’s value. There was reason to belive that Skype and other directory publishers in the US and around the globe would have done or are working on something similar. If the purpose of removing the phone numbers from the 7 Pack was to kill the directory-Skype deal scenario it would raise anti-competitive issues I believe. I’m going to ask Google to comment and I’ll post any response I receive from them verbatim. In something of an apparent coup for European Directories the company has lured Ben Legg, COO of Google’s European operation, to take a similar position at the directory publisher. The news was first reported by TechCrunch Europe. Before Google, Legg was with Coca-Cola. There must have been some heavy duty compensation/incentives to lure Legg from the strongest brand on earth (save Apple) to “old media.” And it also indicates, in my view, a strong desire to take the yellow pages publisher in new, non-traditional directions. A couple of weeks ago, European Directories announced a novel deal with Skype, designed to “colonize” (i.e., promote advertisers within) Google Maps results (10 Pack moving to 7 Pack). 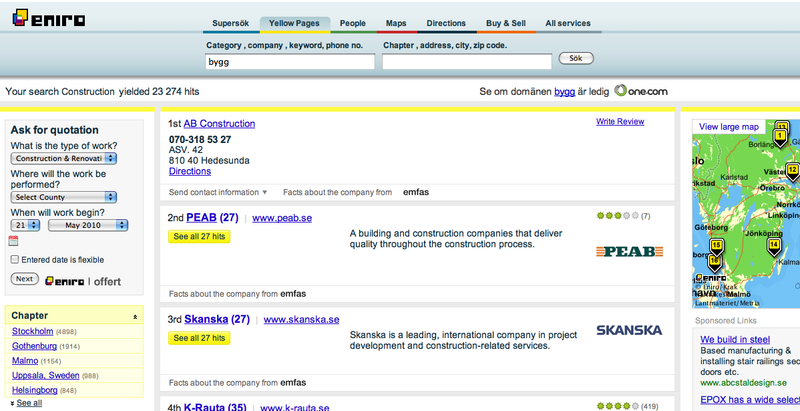 EU Directories + Skype = Local SEO? All the grand plans that eBay’s Meg Whitman had for Skype largely failed to materialize. Many of those visions had to do with driving calls to local merchants and the prospect of PPCall. Now as Skype becomes an autonomous company it’s getting back into the local game by pushing into the yellow pages space with a new “click to call” offering. Earlier this April Mike Boland at Kelsey was told of several tests going on between Skype and directory publishers that were integrating Skype “click to call” functionality in search results. I wrote about my views of the prospects and outlook for such partnerships at the time. The partnership between Skype and European Directories will offer consumers free calls to up to 700,000 businesses across Europe. Participating European Directories advertisers will have the opportunity to be highlighted with Skype’s blue “Free Call” button anywhere their number appears on the internet. In order for telephone numbers to be activated, users must have Skype for Windows 4.1 installed. Most (North) Americans don’t appreciate how popular Skype is in Europe, with millions and millions of users. Under the deal, European Directories advertisers will be the beneficiaries of the Skype pnr “free call” button. Other phone numbers will be equally “activated” online but they will not enable a free call (in other words no need for SkypeOut to call a landline). Thus the idea is that more calls will be driven to European Directories’ advertisers because their numbers will be highlighted. All those calls will be tracked/trackable and won’t need to be replaced by unique call-tracking numbers. The second bit is the SEO value of the move. With a small number of exceptions, yellow pages are having to rely increasingly on SEO in Google for traffic. Even as print usage declines, many publishers find they are losing increasing amounts of online traffic to Google as it makes its Maps product stronger and more “sticky” as they used to say (e.g., tying the PC and mobile more closely). The not-so-new battlefield is page 1 of Google search results and the 10-Pack in particular. This deal will call-enable numbers that appear in the Google 10-Pack in addition to elsewhere on the page. Here’s a Denmark search result for that quintessential local search subject: pizza. For European Directories it marks another step in the journey from traditional publisher to lead-generation platform for local businesses. The buttons could support a PPCall model as well, even though my understanding is that it’s not part of the offering at launch. For Skype it also represents a bold move (back) into local. 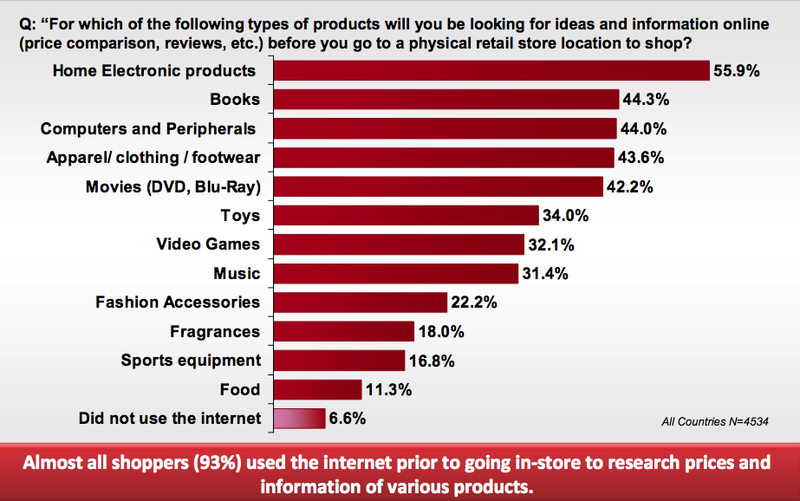 It’s less clear to me how consumers will react — although most local business searches do result in a phone call. It’s also not clear how Google might react to this and, if it dislikes the move, whether the company can effectively do anything about it. UK advertisers spent £1.75bn on internet advertising in the six months to the end of June, a 4.6% year-on-year increase, according to a report by the Internet Advertising Bureau and PricewaterhouseCoopers. 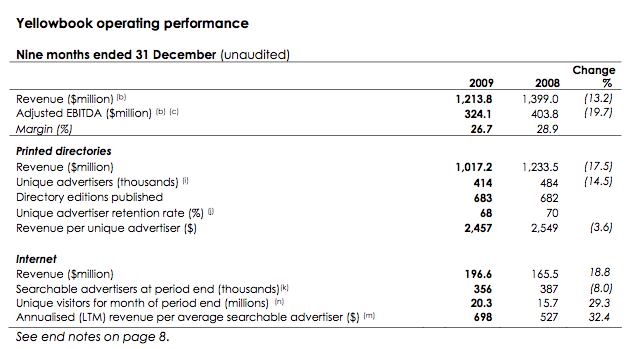 To put this in perspective, in 1998, when the IAB first measured internet advertising, just £19.4m was spent online. Traditional media of all stripes have been pummeled by the twin bludgeons of recession and increasing demands for “accountability.” It’s only going to get worse for TV in the US in the coming period, as advertisers cut (but don’t eliminate) their TV spending. However in the US market it’ll be some time before the Internet can equal, let alone surpass, the TV ad spend. Nonetheless, this is a kind of symbolic “watershed moment” for online.